In any given day, various deliveries, shipments and even emergencies can occur in your facility. As a result, there could be a lot vehicular traffic to direct throughout your establishment. Enforce your traffic rules or policies regarding these areas with Delivery Signs from Seton. We offer a range of directional signs designed to guide motorists to their proper lanes. Inform truck drivers to where they can deposit their loads with “All Deliveries in Rear” and similar signs. 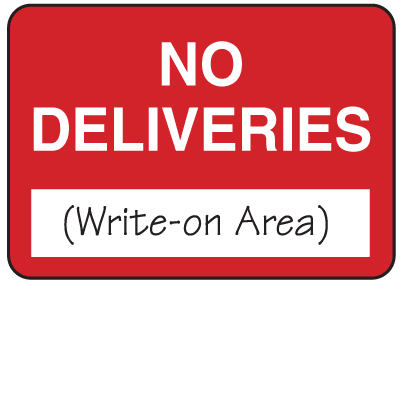 Let visitors know which areas need to be free from parking and traffic obstacles with “Deliveries Only No Parking” signs. Keep these areas as well as emergency bays clear with Seton’s signage options and prevent traffic buildup within your facility. Ensuring an efficient facility entails keeping the flow of vehicles, especially along service, delivery and emergency areas, running smoothly. A convenient way of doing so is to install Delivery Signs within these areas. These signs inform service vehicles which areas they can access, and well as notifying other motorists which areas to avoid. Installing these signs is a major part of managing vehicle traffic in your facility. Managing the flow of traffic in your facility requires strong communication and coordinating skills. Improper communication can lead to late or incorrect shipments, coordination failures with co-workers or departments, as well as various other mistakes that can affect the rest of your facility. Properly communicating logistic protocols is essential to processing them as swiftly as possible, with the least interruption to the workflow. Provide vehicles in your facility with the proper directional signs they need to prevent traffic buildup. 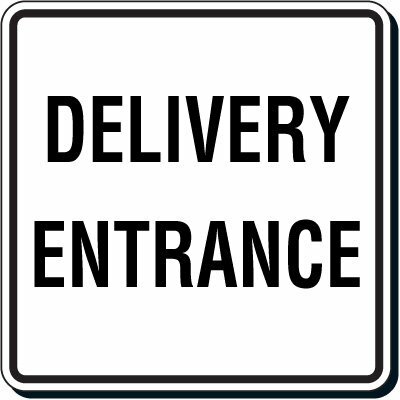 Seton’s range of Delivery Signs directs trucks, emergency vehicles, as well as visitors to their proper locations. Communicate your establishment’s vehicle and traffic protocols with Seton’s line of signs and safety products.